The Caparison Guitar Company was established in 1995 with the former Jackson/Charvel Japan design division and was owned by Kyowa Shokai Ltd, a company that made contracts with factories to produce guitars for them. 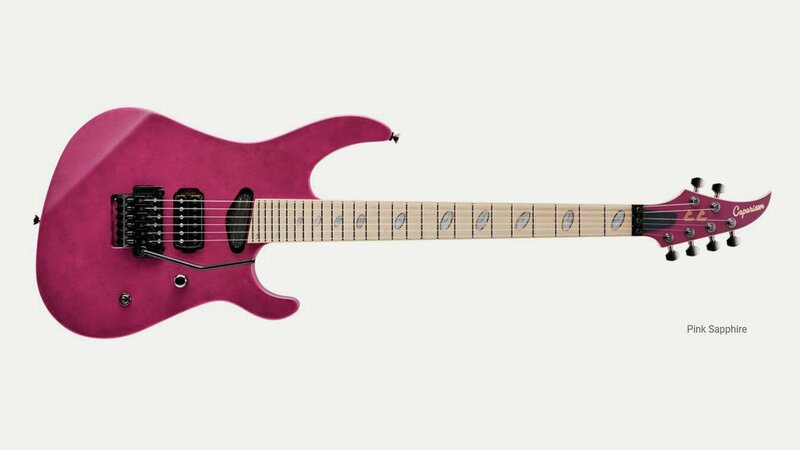 In May 2011 Kyowa Shokai was declared bankrupt, however Caparison resumed production in September 2011 under the ownership of Caparison Guitar Company Ltd. The company retains Itaru Kanno as lead designer and the instruments continue to be manufactured together with Iida Music Co. in Nagoya, Japan. Since 2006, Caparison Design has updated the build quality of their instruments, using the same high standard of components in their regular series guitars that were previously only found in their artists’ models. They are generally considered to be one of the highest quality instruments on the market. Itaru Kanno personally designs and applies hand painted finish as well as inspecting every Caparison Guitar before it leaves the factory. The Iida factory, also apply custom features like hardware and/or painting. Since they are hand crafted instruments, Caparison produces only about forty guitars per month. For years, Caparison Guitars were only available in Japan. However, Caparison now has dealers in a growing number of countries worldwide. The Caparison range consists of three series of guitars, Signature, Regular and the Custom Line.